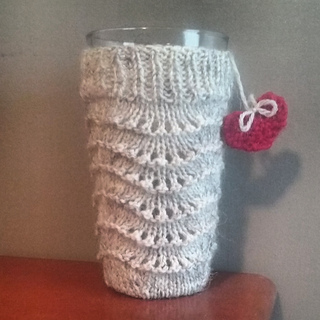 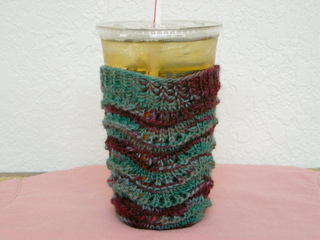 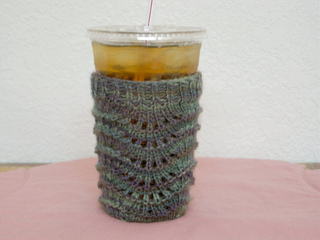 Soak up unsightly condensation from iced drinks with this nifty cozy. 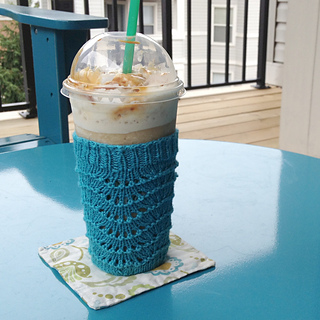 Lanaloft cozies and be lightly felted, if desired. 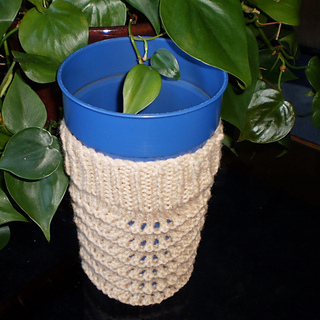 Cascade Fixation and cotton sock yarns with elastic will also work well.